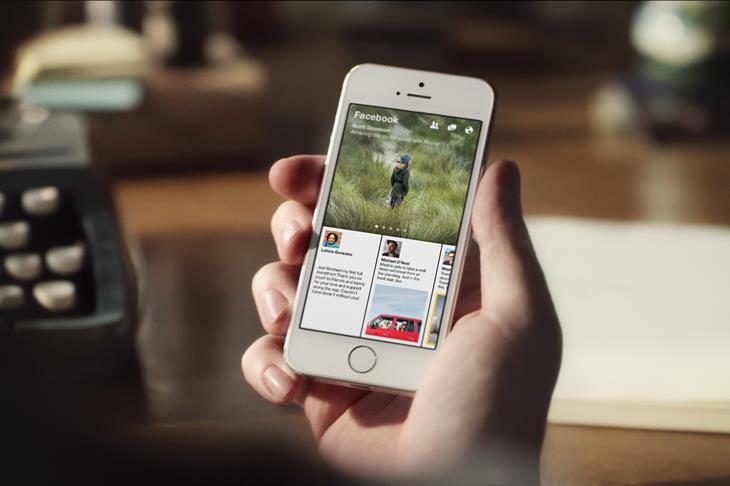 Facebook today launched a new App called Paperhaving planted the seed of the reinvented Facebook timeline view earlier in the week, the App is now available as a free download in the US App Store. However, the App has already created some confusion (and controversy) since it’s named the same as an App already very popular on the App Store – Paper by FiftyThree, a popular drawing/handwriting program for iPad. Paper by FiftyThree isn’t exactly new, and it wasn’t just a coincidence both released on the same day with the same name. Facebook knew about the name already being occupied and referenced by FiftyThree, especially since Paper was named Apple’s 2012 iPad App of the Year, but yet chose to use it anyway. FiftyThree even politely asked Facebook not to use the name for their App in order to avoid confusion between the two, but Facebook refused. FiftyThree say that its App has been trademarked in the United States and the U.S Patent and Trademark Office had the ‘Paper by FiftyThree’ trademark filed on May 11, 2012 – so are Facebook just opening themselves up to a lawsuit? The company took to their blog to express their dissatisfaction that despite their best attempts, Facebook still ran with the original name. …it came as a surprise when we learned on January 30th with everyone else that Facebook was announcing an app with the same name—Paper. Not only were we confused but so were our customers and press. Was this the same Paper? Nope. Had FiftyThree been acquired? Definitely not. Then, what’s going on? We reached out to Facebook about the confusion their app was creating, and they apologized for not contacting us sooner. But an earnest apology should come with a remedy. Interestingly, one of Facebook’s board members is even an investor in FiftyThree, so it’s not like Facebook can even play the ignorance card here. CEO of FiftyThree, Georg Petschingg, continues to state that an easy fix would be for Facebook to put the same degree of thought into creating a new name for the App as they did in designing it. An app about stories shouldn’t start with someone else’s story. Facebook should stop using our brand name. So whether you’re loving Facebook’s new Paper App or not, where do you stand with this one – Should Facebook rename it?